A Champion stallion in 3 different countries. He has an illustrious show career behind him having been named Brazilian National Champion Stallion and now US National Champion Stallion. The best thing about El Nabila is not only that he has wowed us in the show ring but that his foals continue to impress us. 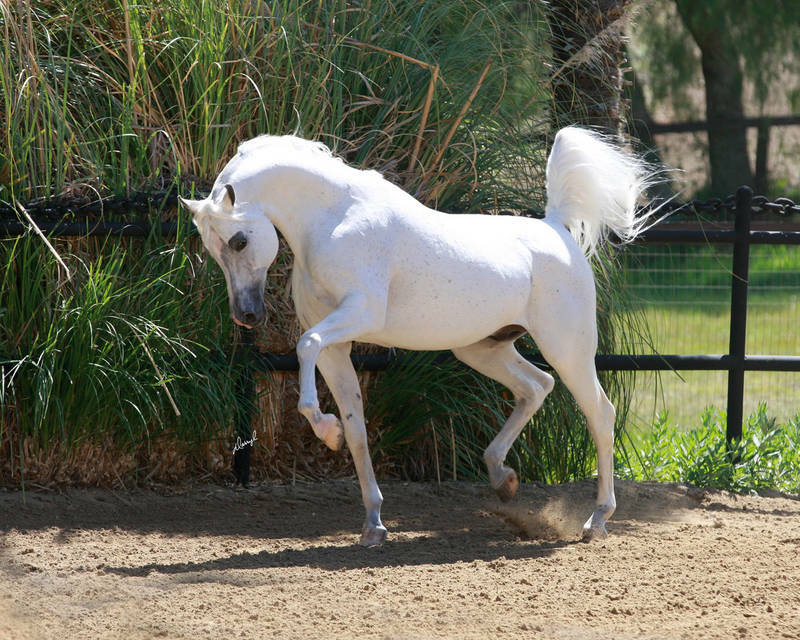 El Nabila B is the sire of our mare Al Gasama (*2002) and is therefore represented in our breeding program.